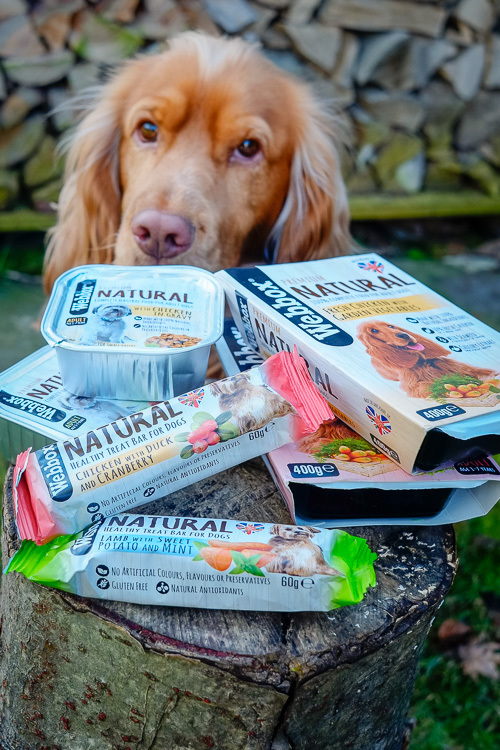 Barney enjoys a mixed diet of wet and dry foods – and we’ve found a combination that keeps him trim and healthy, so I don’t really look to chop and change his diet too much. 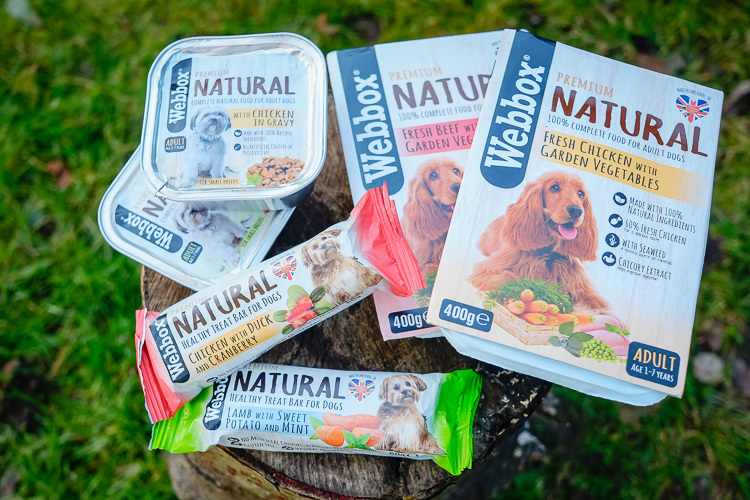 But when British brand Webbox asked if we’d like to try their Premium Natural range, I took a look and liked the fact that they promise 100% natural ingredients with no artificial colours, flavours or preservatives, so we were happy to give them a go. 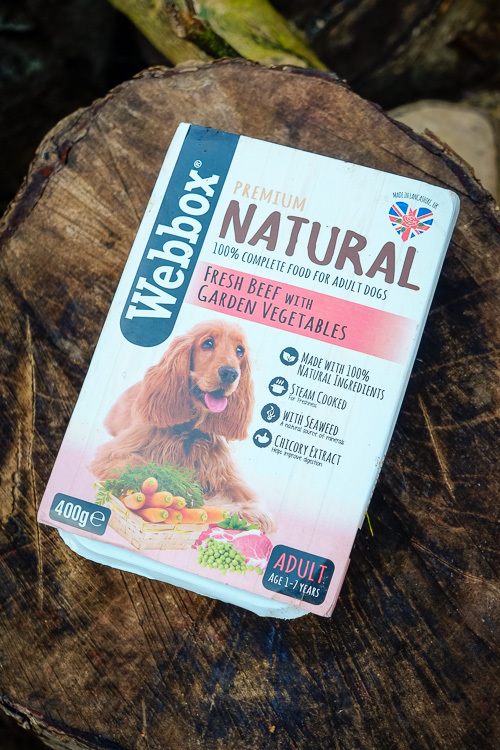 Included in Barney’s box of goodies were Natural Trays of Fresh Beef and Fresh Chicken with Garden Vegetables. As well as the meat, veg and herbs, they contain added seaweed, a good source of minerals such as iron and magnesium plus chicory extract, thought to help promote the growth of beneficial bacteria in the gut, which can aid digestion. 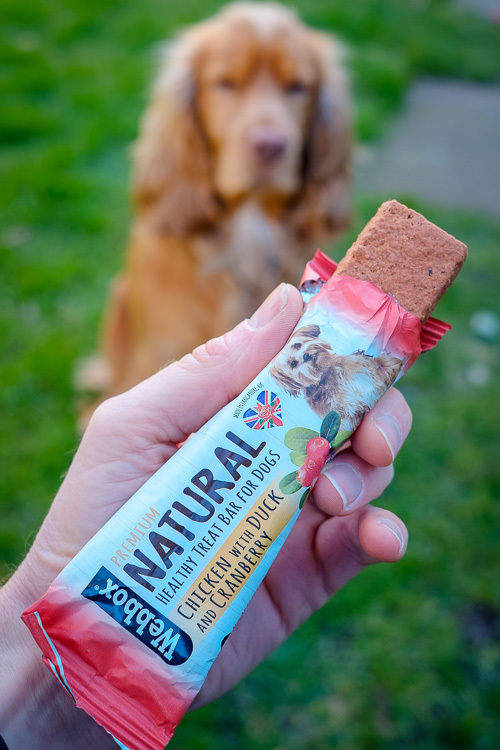 Barney enjoyed both flavours – with no upset tummy – so we will definitely keep a few of these in the cupboard as they are handily packed and lightweight, so ideal for taking with us on our travels. 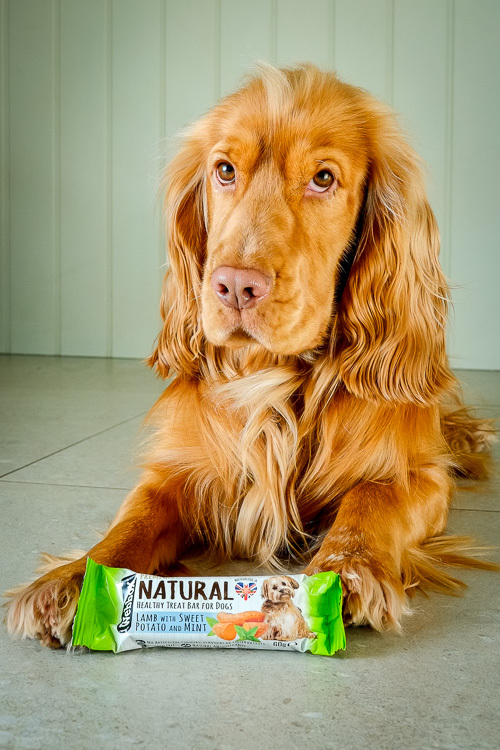 Also in our goody box were a couple of 60g Natural Healthy Treat bars. They’re just right for keeping in your bag when you know you’re on a dog walk that will culminate in a coffee shop. (Don’t you just love those kind of dog walks?!) 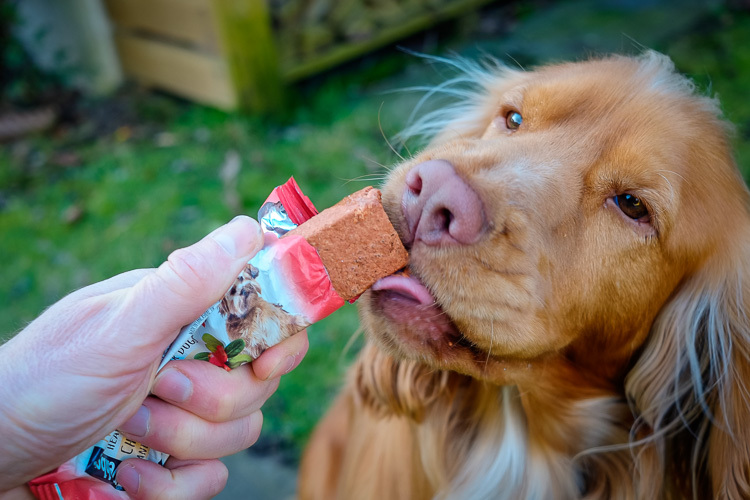 While you enjoy your cuppa and a cake or flapjack, then your lucky pup can indulge in his very own tasty bar (or at least half a bar) too. Barney has tried the Chicken with Duck and Cranberry plus Lamb with Sweet Potato and Mint Flavours and gave both the paws up. They also do a range of natural pates for small breeds. Sorry Barney, but you’re going to have to hand these over to one of your little friends. 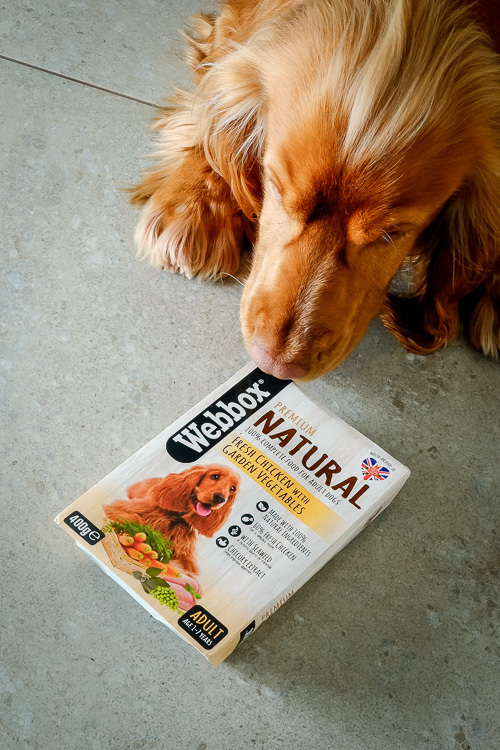 You can get hold of Webbox products at most supermarkets and some independent pet shops too.